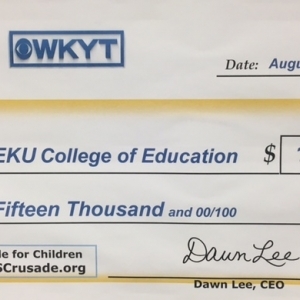 We are thrilled to announce that, once again, the WHAS Crusade for Children is a very generous supporter of the EKU Communication Disorders program! 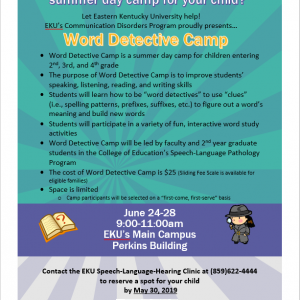 During the Summer 2019 semester, the Communication Disorders (CD) Program will be hosting a summer camp for 2nd - 4th grade students at EKU’s Perkins Conference Center. The purpose of “Word Detective Camp” was to improve students’ speaking, listening, reading, and writing skills. 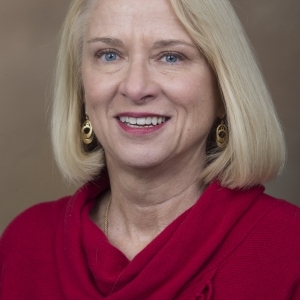 Dr. Tammy Cranfill is Associate Professor in the Communication Disorders Program at Eastern Kentucky University. She received her doctorate from the University of Kentucky in Rehabilitation Sciences. 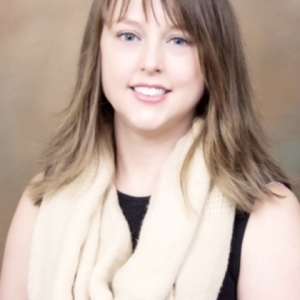 Kellie C. Ellis, Ph.D., CCC/SLP is an Associate Professor and the Communication Disorders Program Coordinator at Eastern Kentucky University. She teaches undergraduate and graduate coursework in language intervention and assessment, articulation and phonological disorders, and research methods. 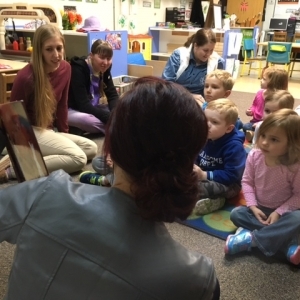 Graduate students in the Communication Disorders program at EKU are partnering with a local preschool to provide speech-language-hearing screenings and classroom based intervention services. After completing the speech-language-hearing screenings, graduate students planned whole-group lessons targeting the specific deficits found on the screenings. 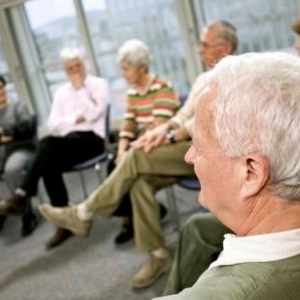 An Aphasia Support Group, led by Dr. Christen Page with assistance from Communication Disorders graduate students, meets monthly in Berea KY to provide support and instruction regarding the communication impacts of aphasia following stroke and acquired brain injury. 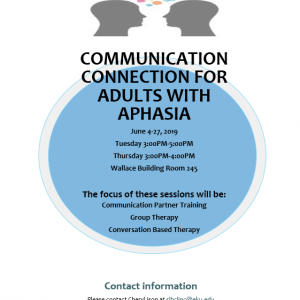 Individuals with aphasia and their partners/friends are welcome. Dr. Constantine received his Ph.D. in Education, Childhood Language Arts and Reading with a Cognate in Mental Health Counseling and M.S. in Speech-Language Pathology from the University of South Florida (USF). 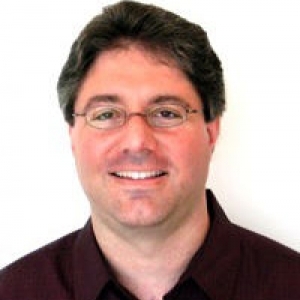 He teaches coursework in fluency disorders, counseling, speech science, and research methods. 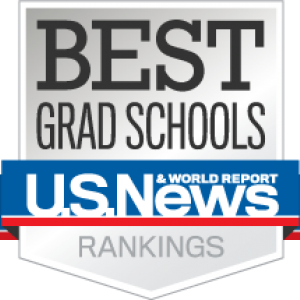 The Communication Disorders graduate program at Eastern Kentucky University is ranked (again) among the best graduate programs in speech-language pathology! 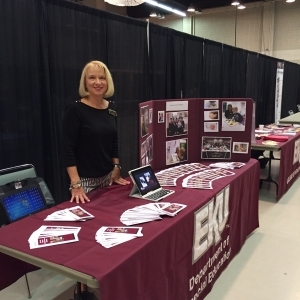 The EKU Communication Disorders program was represented at the HOT (Health Occupations Today) Expo in Somerset, KY. Dr. Tammy Cranfill was available to meet 10th-12th grade students throughout the day, and highlight Speech-Language Pathology as a future profession.